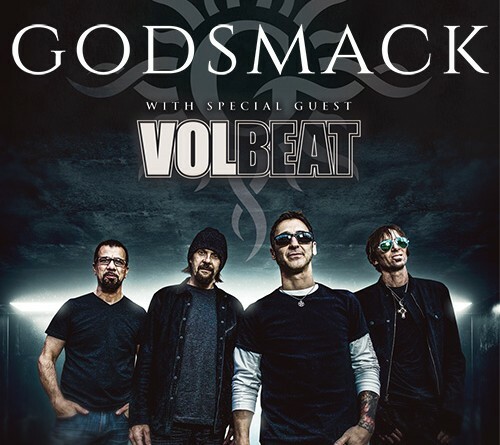 Godsmack will return to the road in 2019 – with a headlining tour coming to Van Andel Arena on Friday, April 19, 2019 at 7:00 pm. Featuring Volbeat. 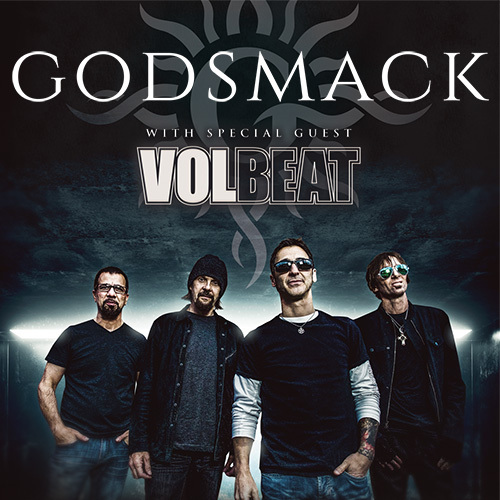 Earlier this year, Godsmack released When Legends Rise via BMG and Spinefarm, marking the band’s seventh studio album and their first in four years. 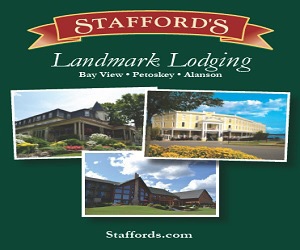 The acclaimed 11-song collection, fueled by the Top 5 rock song and video “Bulletproof” plus the video track “When Legends Rise,” entered the Billboard Top 200 album chart in the top ten (#8), with four #1 placements on other charts: Top Rock Albums, Top Hard Music Albums, Top Independent Albums and Top Alternative Albums. When Legends Rise is available on CD, LP and Digital; purchase or stream it here.